When businesses are expanding into Asia, what should they know? What current opportunities should be considered? What are common challenges in these markets? 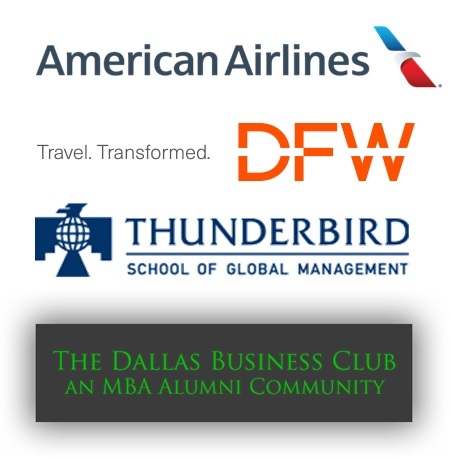 How has direct transport to Asia with DFW International Airport and American Airlines done to increase trade? Learn from the experiences, stories, and advice from these powerful panelists. Seating is limited for this event. MUST RSVP in advance while seats last. John C. Terrell is the Vice President of Commercial Development at DFW International Airport, and is responsible for bringing non stop routes to and from China and DFW. Mr. Terrell has over 30 years of real estate experience and an extensive background and knowledge in real estate sales, marketing, property management, development, leasing, economic development, and government relations. Mr. Terrell holds a Bachelor of Science Degree in Business Management and completed his Executive MBA at the University of Texas at Arlington with a certificate in Asian Business Studies. He holds an International Airport Professional (IAP) designation, being recognized by ACI and ICAO as having achieved highly rigorous standards for expertise in the field of airport management. He also served as Mayor for the City of Southlake, Texas for six years. Winston Lam is a leader with the American Airlines Asian and Pacific Islander Employee Business Resource Group, and has been a Manager in the Global Alliances division for five years. Winston earned both a BBA and MBA from the Red McCombs School of Business at the University of Texas at Austin. Mitch is a project manager working for American Airlines in the Technical Operations division, where he plans both large and small global maintenance projects on approximately 200 aircraft. He previously worked as a technical writer in the Flight Operations division. Before his career with American, he trained airline pilots for both Chinese and German airlines. Mitch holds a Political Science degree from The George Washington University, a Global MBA from Thunderbird School of Global Management, and a Financial Management Certificate from Cornell University. In his spare time, he enjoys traveling, reading, writing a book on personal finance. He and his wife are active members at Baruch Hashem Messianic Synagogue in Dallas. Thank you to our event collaborators! Thank you to our event sponsor, Level Office!